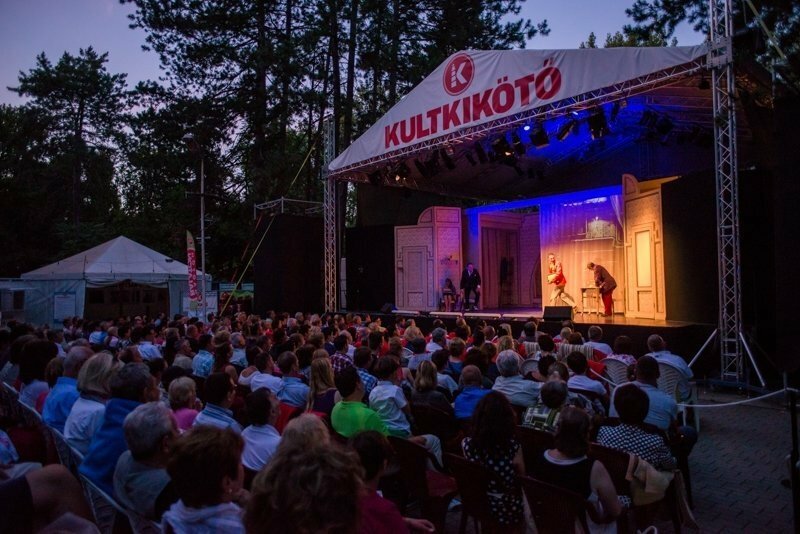 KULTKIKÖTŐ is an art festival, which is an important component of Balatonföldvár's summer programs. Visiting our festival, viewers can see varied, high-quality theatrical performances, pop concerts, fine arts, art and photo exhibitions, children's activities, film screenings, literary evenings, and workshops in Hungarian language. Usually wine tasting (from local wineries) and exhibitions are the part of the evening program. We suggest for non-hungarian speakers to visit our concerts where they can enjoy the music.